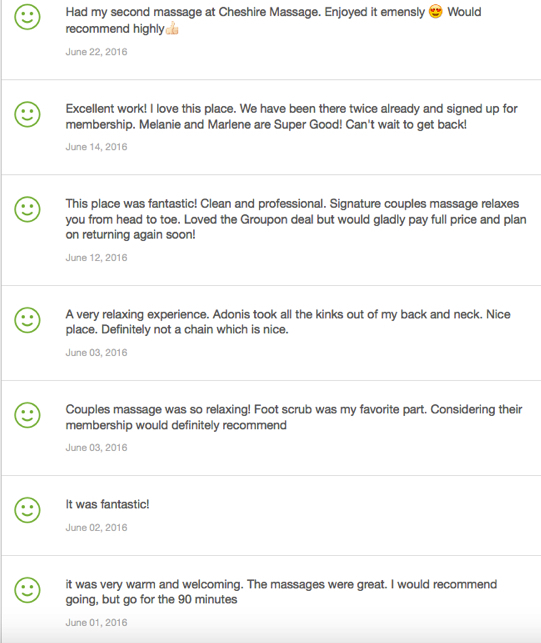 I’ve taken screen shots of the first few pages of our online reviews. You may have to click on the picture to be able to read them better. None of these reviews were tampered with and I promise I purposely didn’t leave out the negative ones, it’s just that there weren’t any in the first 3 pages. Please be advised that we are a real team of caring people who enjoy our work environment and the people we meet. We will not try to sell you on anything, we’ll never take advantage of you so we kindly ask that you try not to cancel your massages at the last minute and tip accordingly (We don’t get paid extra for deep tissue. Instead of paying extra for deep tissue, we suggest you give it as tip since it should go directly to the therapist anyway).